Home » Blog » Sixteen years of Pauls life in ONE PHOTO! Sixteen years of Pauls life in ONE PHOTO! 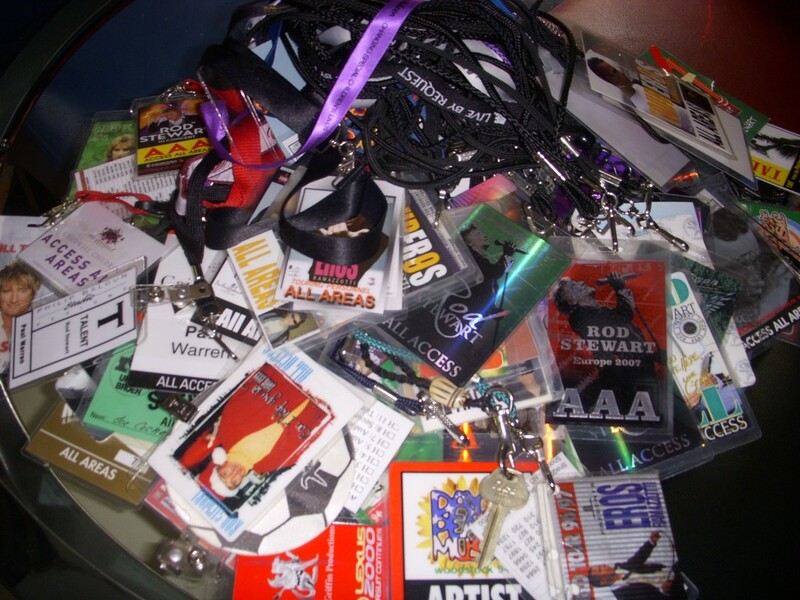 This is Every Laminate saved from every tour he has done since 1994. Unfortunately Paul didn’t think to save them from any earlier tours, starting in 1972 opening for the Jackson Five with The Undisputed Truth, multiple Rare Earth Tours, as well as Ray Mazarek Nite City Laminates, touring with Tina Turner and most of his hundreds of Richard Marx All Access Passes! Wow! What a great picture. The giant ‘pile-o-laminates’. A lot of history there.